Ravine is a planet divided. After years of skirmishing between secessionist and loyalist forces, the spectre of a bloody planet-wide civil war is now all too real. As tensions between the factions boil over into full blown conflict, Darien, Amber and the operatives of Hammerhead Squad are drafted in to help colonial forces restore order. Called back from suspension, Darien is forced to confront a past he tried to leave behind, while Amber finds her principles being put to the ultimate test. The operatives are hurled into a confrontation unlike any they've ever experienced, one that ensures their lives, and the entirety of human civilisation will never be the same again. A point by point guide of how to submit to a publisher based on my experience working with Birlinn Limited. Read it, use it, and write on! Welcome to Veridian Shores - a world of darkness, glamour, temptation and risk. Gliss Raynor is from out of town, and she's on a mission. Capper Jackson, problem child of the Glaive Clan, is a local hunter who knows the lie of the land. Between them they hold the means to turn the world upside down for themselves and all their kin. As their relationship deepens and Gliss's true intentions become clear, both young vampires will have their loyalties tested to breaking point. Something is abducting human beings. The series of vanishings is spreading further and further throughout human-held systems and those responsible leave no traces behind. Their motives and their methods are unknown, and it is not long before Darien, Amber, and the Blink Operatives of Hammerhead Squad are drafted into an interstellar manhunt to find the perpetrators. 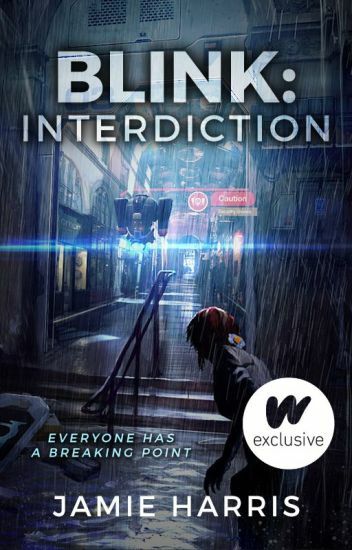 Chasing down leads on a dozen inhabited worlds, the young operatives soon discover that the truth behind the abductions is more terrifying than any of them could have realised. Embroiled in a galactic game of cat and mouse, they must hunt down whoever is responsible before they themselves become the hunted. After surviving the horrors of Titan Aquilla, Amber Garret and the members of Hammerhead Squad are now the most highly regarded Blink unit in the galaxy: a galaxy that is a very dangerous place. Called into action again, the crack team of operatives are this time summoned to a distant ocean planet to assist with an exploratory undersea mission. Beneath the thundering waves is an enormous city, a city inaccessible by conventional means. It falls to Hammerhead Squad to make the first steps into the ancient deep.